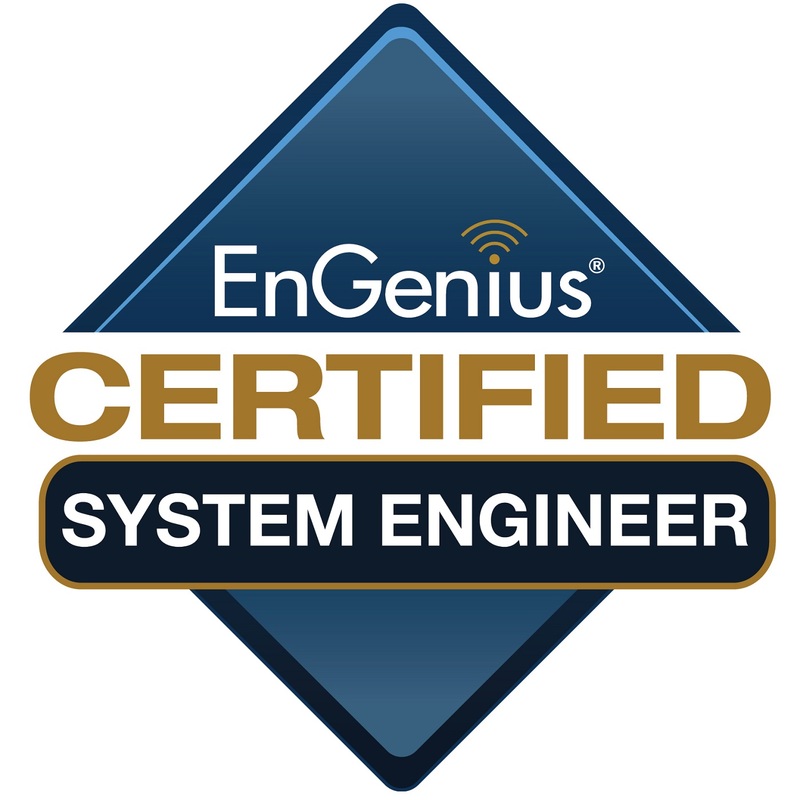 The EnGenius Certified System Engineer Program (EBP02) is a two-day course intended for value-added resellers (VARs), system integrators (SIs), and managed service providers (MSPs). Expanding upon the Operator program, the second day focuses upon the best practices for WiFi designs and deployments. Subjects include a review of requirements, physical layer considerations, MAC layer considerations, and documentation. Students will have hands on exposure to provisioning and troubleshooting of EnGenius Neutron controllers, switches, and access points. An online exam is required to achieve the certification.